For a totally unique perspective of the Outer Banks, try standing on top of the water. With a stand up paddle board (SUP) you can paddle the sound or ocean waters, just to enjoy the sights or to actually get somewhere like an offshore sand island or a restaurant for lunch. For most people the learning curve for learning to SUP is quick and easy and you’ll be up on your knees or feet paddling the waters in no time. Experienced watersports enthusiasts can surf the ocean waves on a stand up paddle board. We offer 10’4” and 11’4” stand up paddle boards for your selection, and delivery is available for weekly rentals. We can not guarantee color availability during reservation. Have limited time to enjoy? Rent a stand-up paddle board for the day! Daily Stand-up Paddle Board (SUP) rentals are $59 and can be picked-up from our Nags Head store located at 7128 S. Virginia Dare Trail Rd. Note: Daily rental options are for a 24-hour period. 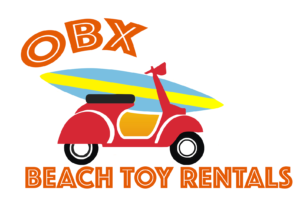 Free delivery is available for weekly SUP rentals in the Outer Banks. We can not guarantee color availability during reservation. Weekly Stand-up Paddle Board (SUP) rentals are $149 and can be either picked-up from our Nags Head store, or delivered to your Outer Banks rental home.